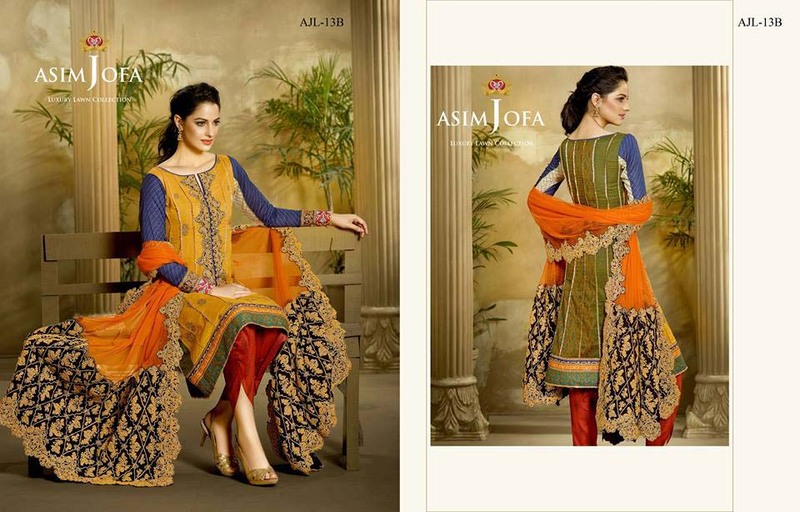 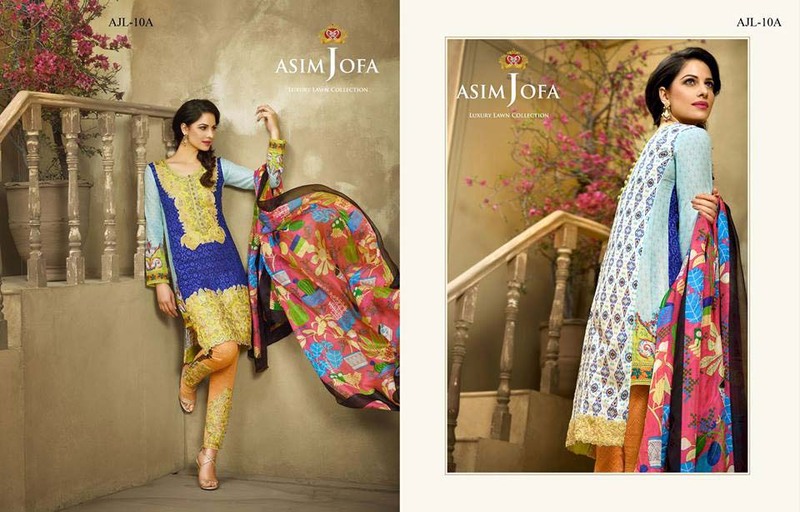 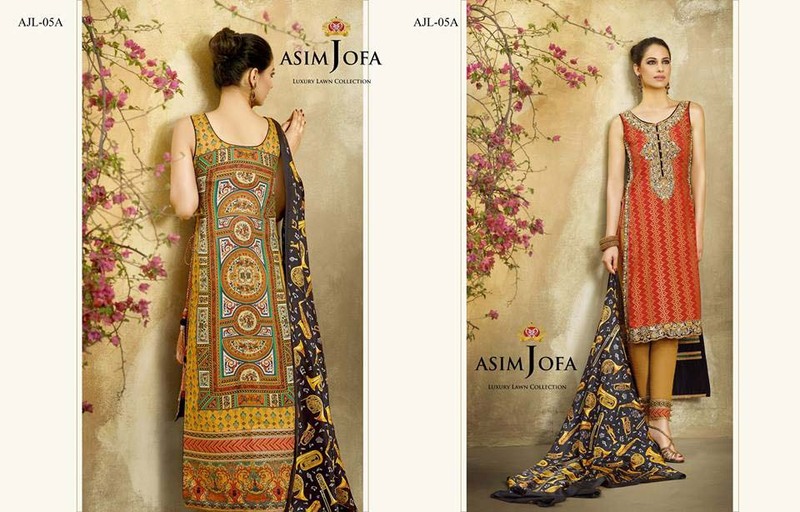 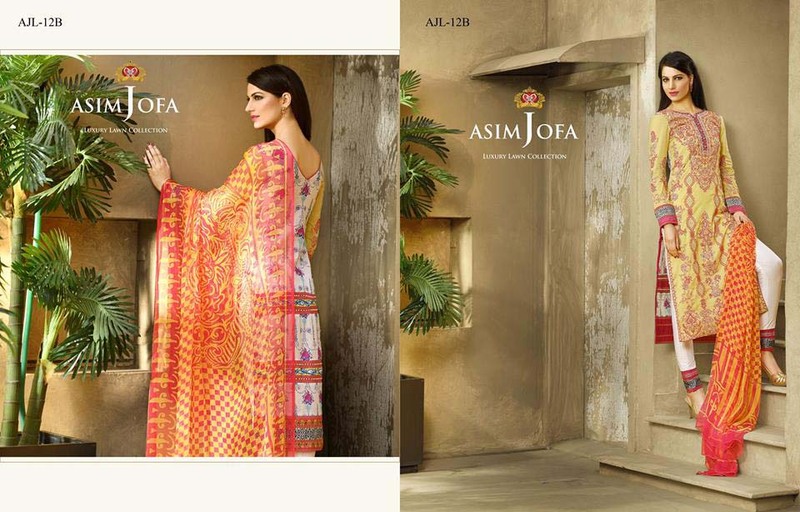 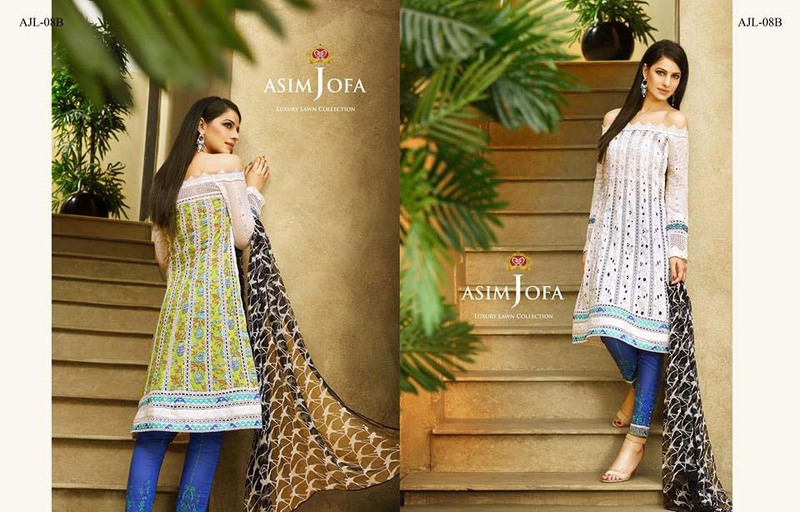 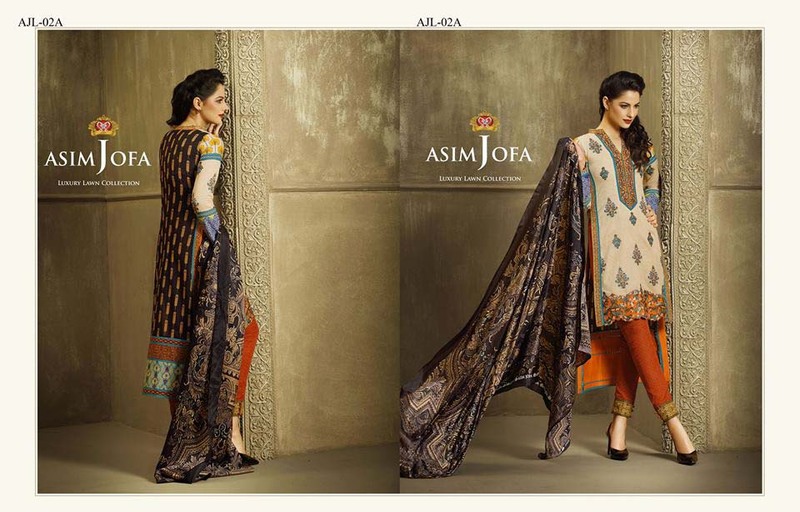 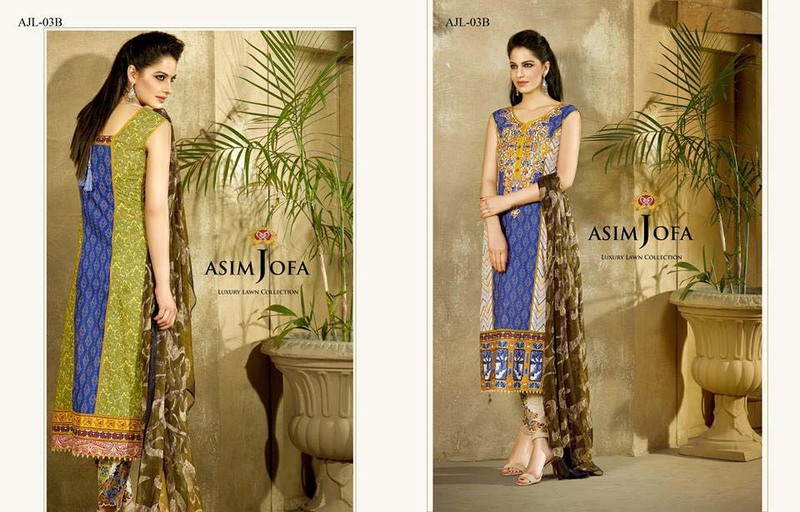 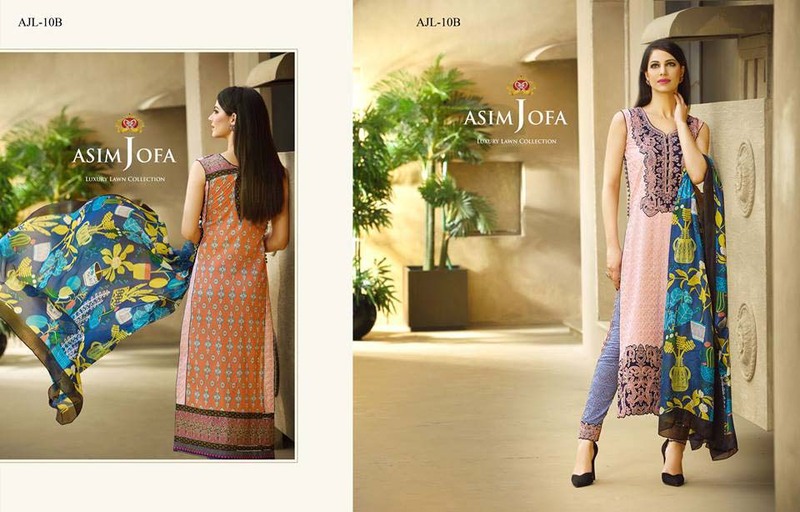 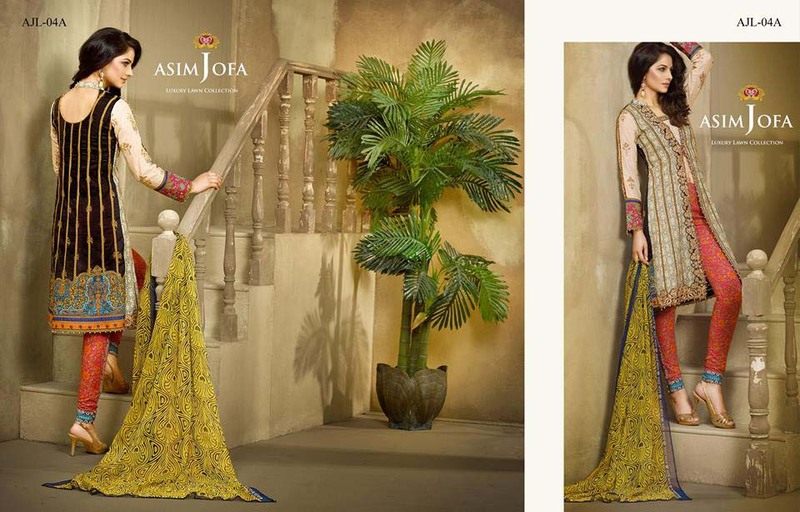 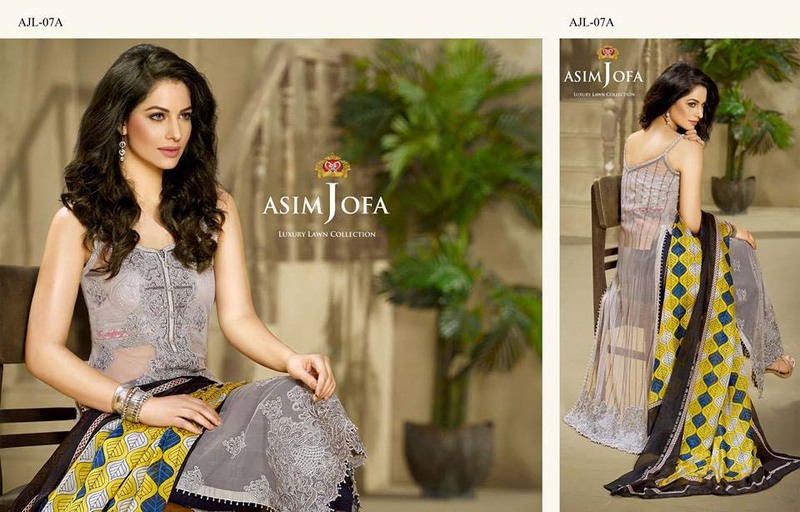 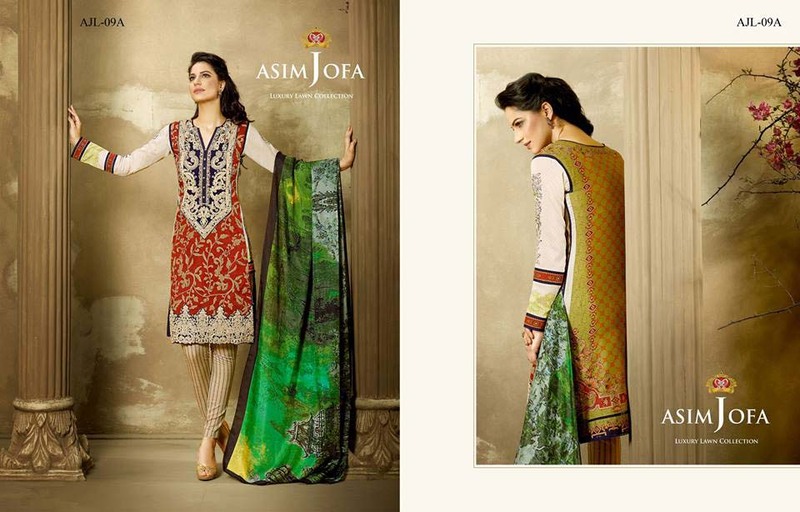 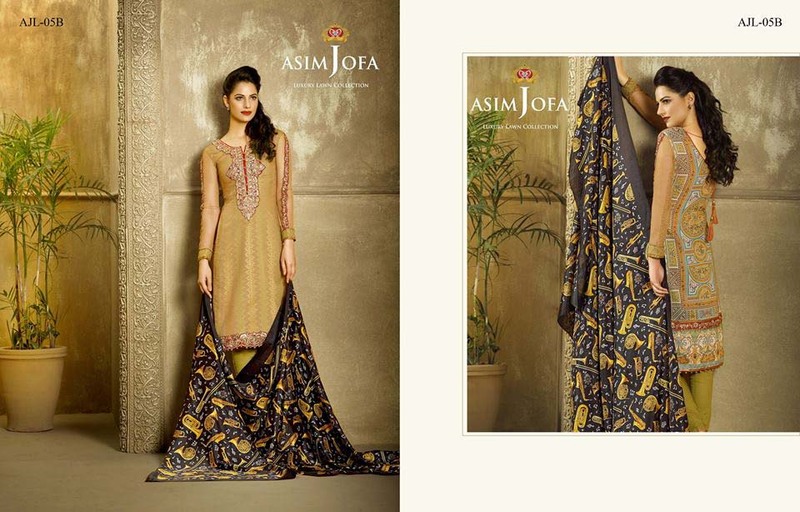 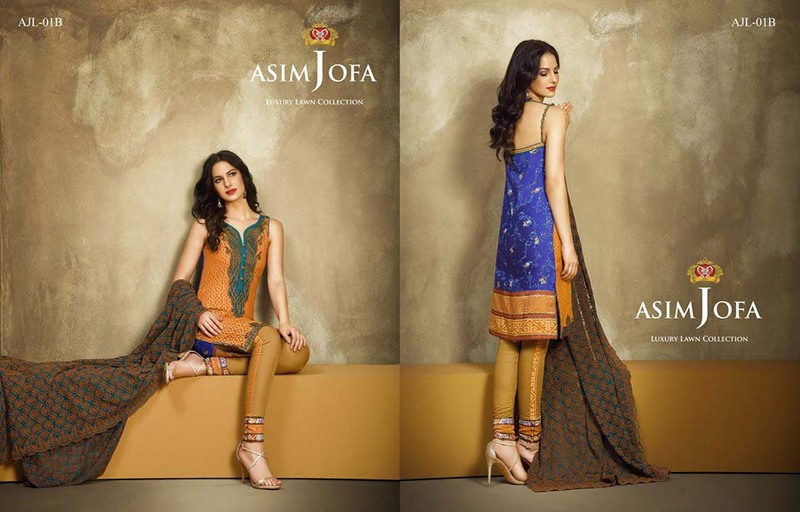 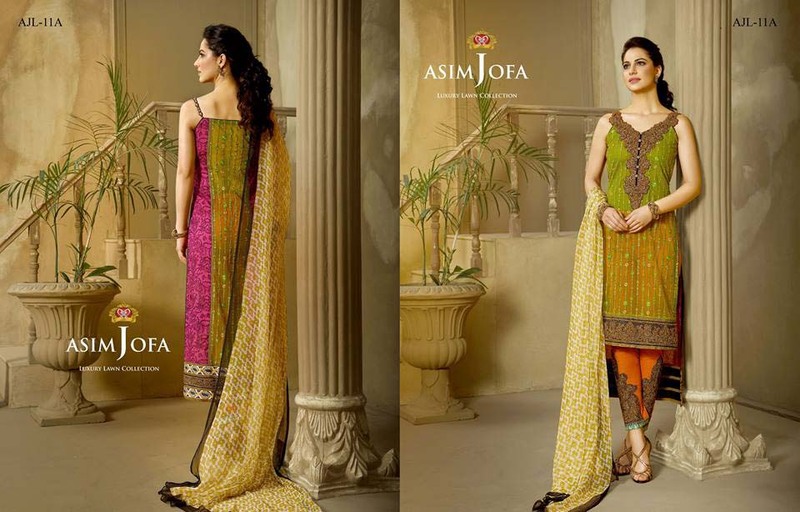 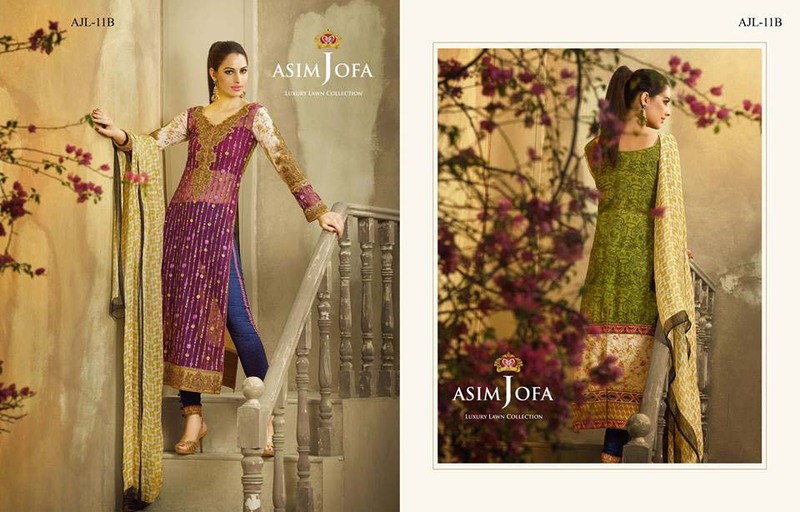 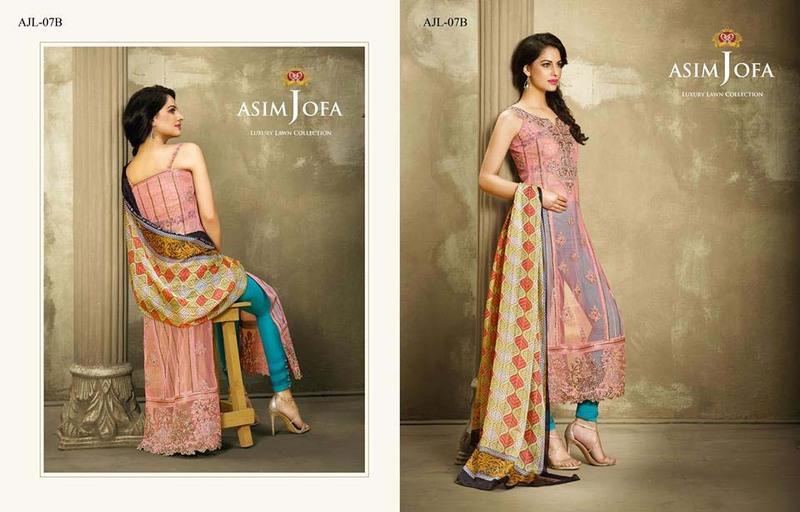 Asim Jofa is a famous name of social status and standard, main reason behind the attraction of this brand is finest embroidery work and styling with comfortable and suitable clothing stuff. 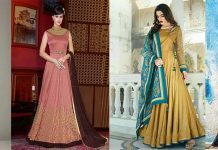 Since its time of operate in fashion industry, the artistic taste in producing cloths attracted a number of people to them. 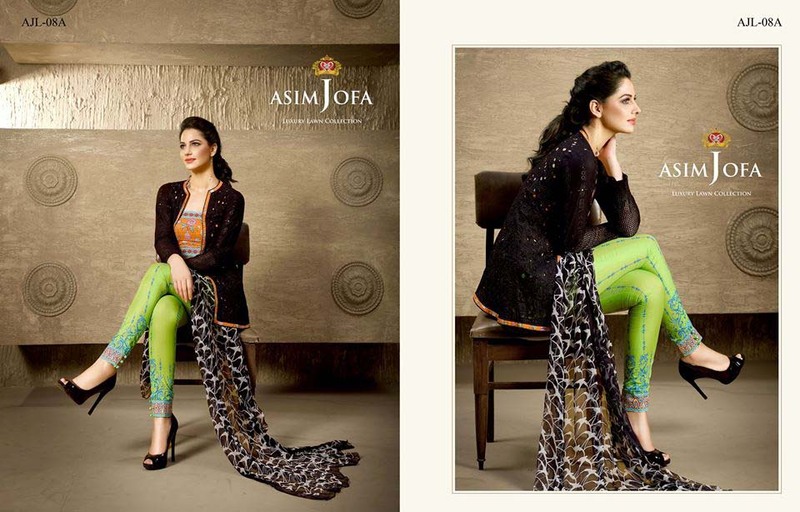 This Eid catalog is full of amazement and to enhance this festival. 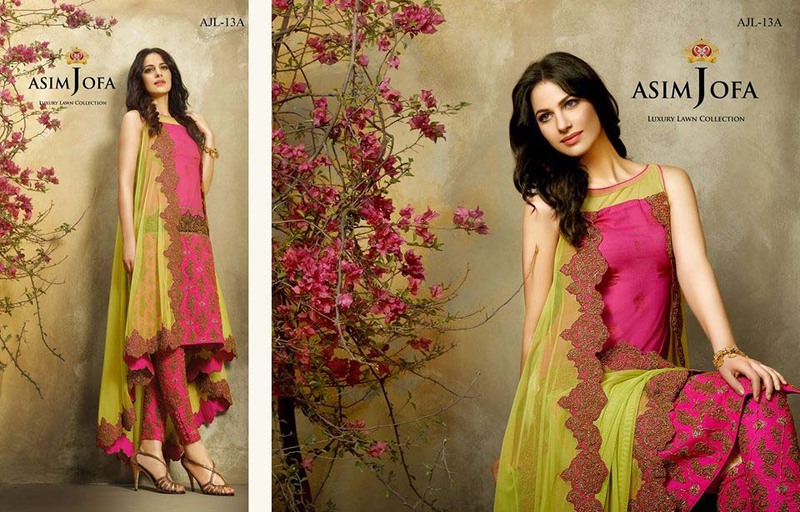 You can find plan lawn, embroidery collection adorned with luxury stuff. 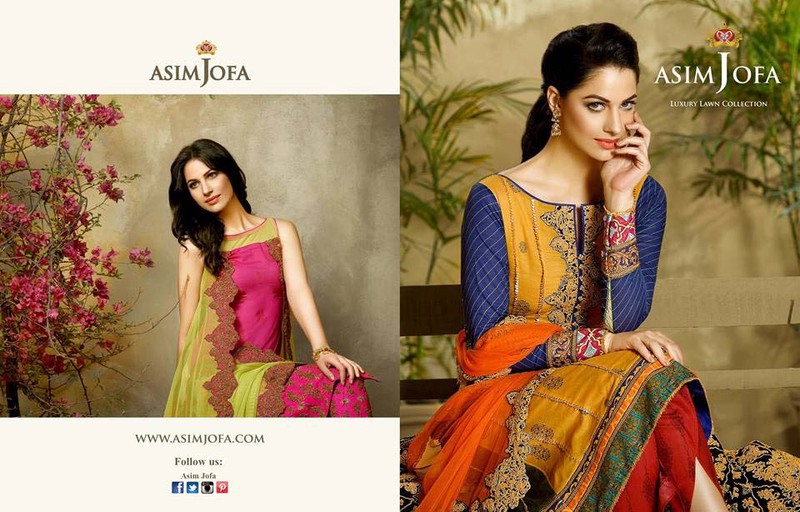 A vast range of color combinations is there to cater your choice for this holy festive of Eid. 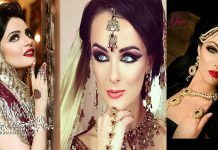 This event comes after the holy month of Ramadan and it’s all about to spread happiness and joyousness among others. 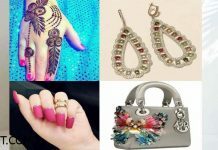 So it gives a reason of happiness. 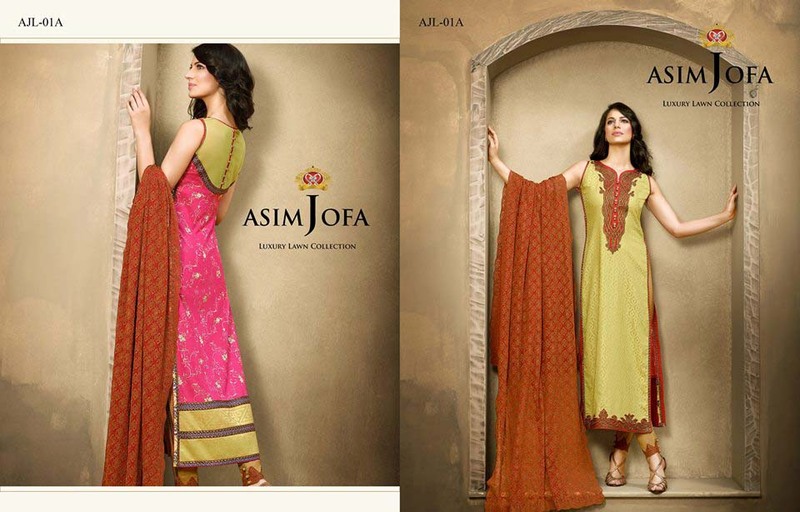 Eid assortment of this brand is sign of significance because of vibrant colors, unique designs and embroidery work. 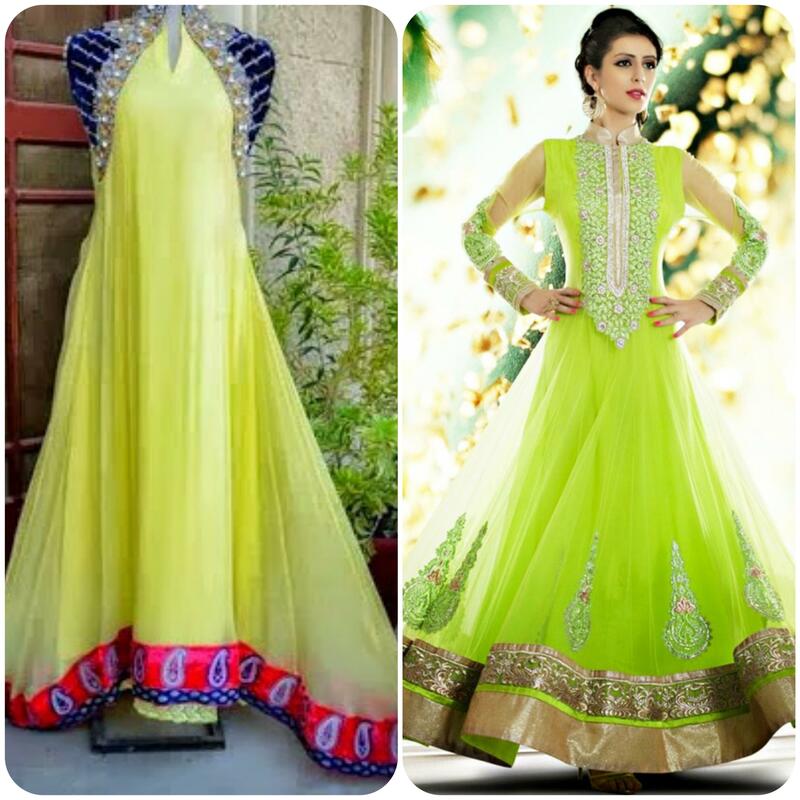 furthermore, these dresses are reason of attraction when it comes to choice of women and girls. 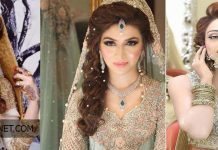 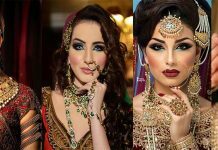 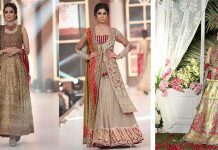 This event is not only about sweet dishes that we have to do on this day and eve, but everything we do on this day, dressing, footwear, jewelry and makeover. 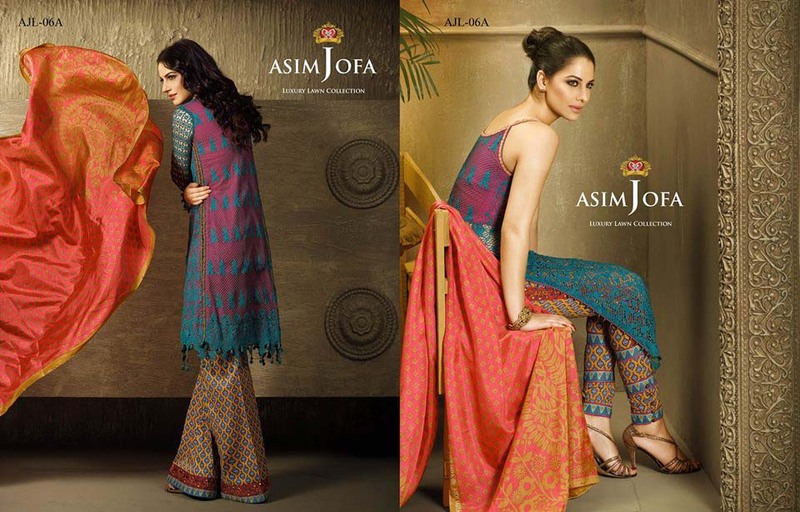 Asim Jofa is now going to hit this summer with great festivity. 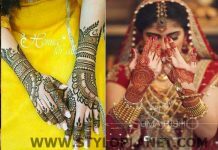 It has brought about cultural and artistic touch of work. 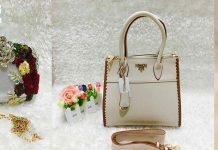 So just scroll down and find the one which is is suitable for you. 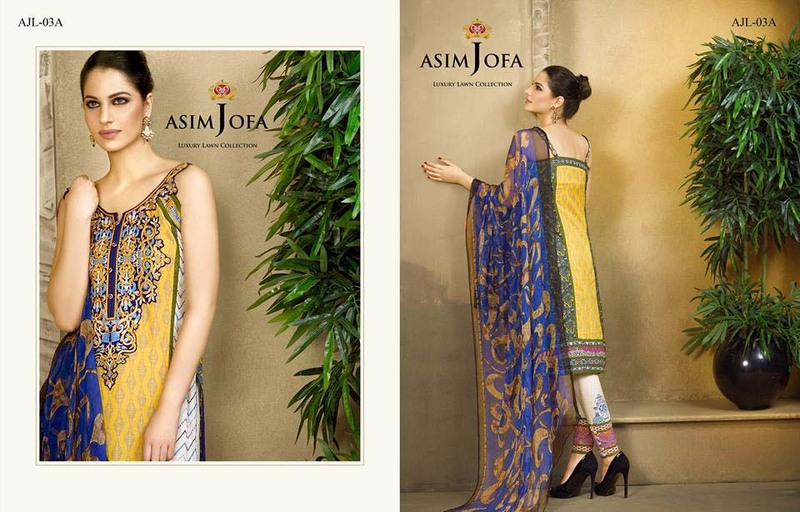 This Eid catalog is full of amazement and to enhance this festival. 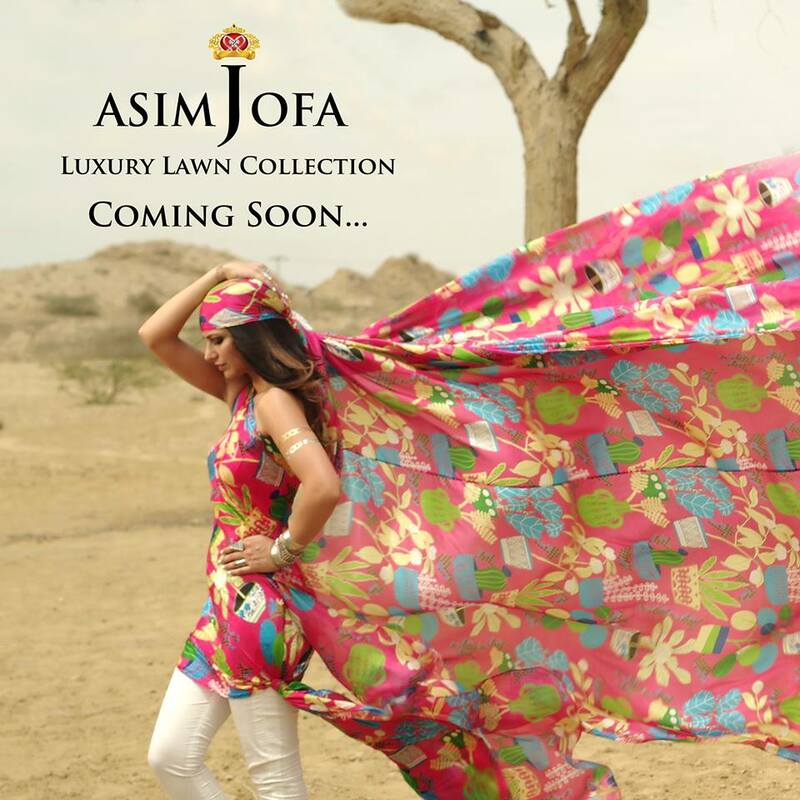 You can find lawn, embroidery collection adorned with luxury stuff. 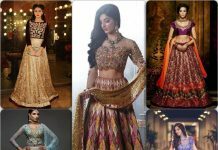 Here is image gallery.